Nuclear magnetic resonance (NMR) is a fundamental nuclear phenomenon and is a powerful research tool. 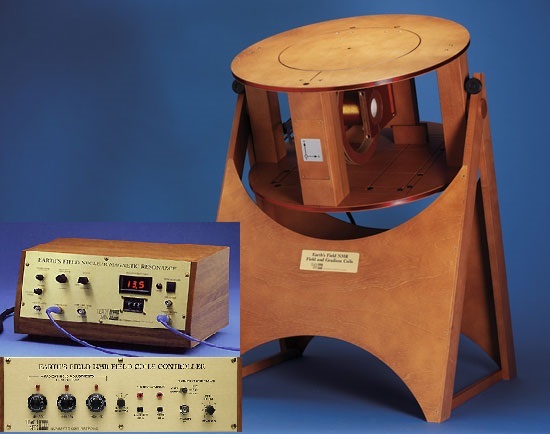 Research grade NMR instruments utilize an extremely uniform, high magnetic field for polarization of nuclear spins and the detection of the magnetization of spins in the samples. In contrast, Earth’s-Field NMR (EF-NMR) utilizes the globally available Earth's magnetic field for the detection of the magnetization. Although an EFNMR setup has low sensitivity compared to a regular high-field NMR system, this simple low-magnetic field system offers a uniquely simple tool for teaching NMR at low costs. This workshop will focus on the study of the principle of an EF-NMR (TeachSpin) and use this setup to study the Curie's Law of magnetism, spin-lattice relaxation, and even spin-spin coupling in the samples. The liquid samples are first polarized by an electromagnet and when the external magnetic field is turned off, the polarized nuclei (typically protons) perform a precession about the earths field direction, also known as the Larmor precession. The Earth's magnetic field has a magnitude of ∼50 μT, and therefore the Larmor frequency for a proton in hydrogen is ∼2 kHz, which can be detected using the pick-up coils (and heard in live audio!). By measuring the precessional signal, we can study the Curie law of magnetization and measure the spin-lattice relaxation time for protons in water and in other liquid samples with odd number of nucleons. Participants need bring a notebook and nothing else. The cost of the Earth's Field NMR apparatus, including the sample coil, controller, and gradient/field coil system, is $7650.00. An additional power supply and oscilloscope are required, and these two items could cost up to $2500 depending on the type and brand. The total cost is therefore about $10K. Ram C. Rai is Associate Professor in the Department of Physics at Buffalo State College. Professor Rai has been doing experimental research in condensed matter physics since he was a graduate student at the University of Kentucky. 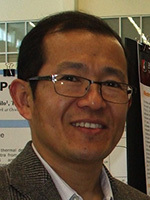 His research interests include the study of electronic and magnetic materials via transport, optical, electro-optical, and magneto-optical techniques. He is particularly interested in the growth and study of thin films of multiferroic complex oxides with functional properties. He has been teaching the advanced physics lab since Fall 2007 and has mentored several undergraduate students on research projects. Ram C. Rai, Associate Professor, Buffalo State College, Department of Physics, 1300 Elmwood Avenue, Buffalo, NY 14222. Email: rairc@buffalostate.edu. Telephone: 716-878-3767.